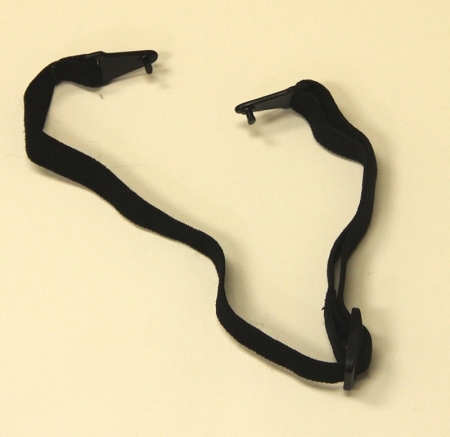 adjustable black strap for use with Eos model S35 safety glasses to convert them into goggles. Easily clips on and off the holes near the ends of the temples arms of the glasses. Made in Taiwan.